The BBC has made good progress in rationalising and upgrading its estate. But value for money in the short to medium term will depend crucially on the BBC’s making better use of its estate. The BBC has made good progress in rationalizing and upgrading its estate, according to a report by the National Audit Office, which was published today. The BBC has improved its use of available space and the cost of running much of the estate compares well with external cost benchmarks. However, the overall cost is distorted by the high cost of running Broadcasting House, which accounts for a third (£89 million) of the total annual cost of running the BBC estate (£273 million) in 2013-14. The BBC has replaced many ageing buildings with a smaller number of modern facilities that are better suited to its needs and more accessible to audiences. The BBC set an overall target cost for its estate but there is little evidence that it was sufficiently mindful of the target when taking decisions on individual estate projects. The NAO concludes that value for money in the short to medium term will depend crucially on the BBC’s making better use of space across the estate. The BBC has set ambitious targets to do this but it will need better information on usage to succeed. The findings from the report include the following. 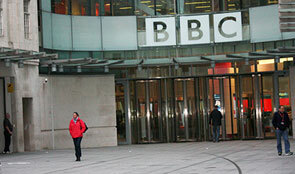 The BBC has reduced the size of its estate, which has helped improve efficiency. Some buildings that the BBC had earmarked for improvement, because they are outdated and inefficient, have still to be upgraded. The BBC did not meet the target it set in 2008 to cap estate costs at 6% of licence fee income by 2013. The BBC did not appear to use the 6% target to manage its overall estate costs and it has since adopted a revised target: to keep any increases in estate costs below increases in the retail price index. The BBC has improved its use of available space. The BBC has identified that it could use its estate more efficiently and has set ambitious targets. Within the past 15 years, the BBC took out long leases, which it cannot surrender until the 2020s or 2030s, on properties that it no longer needs, although it could potentially sublet them.